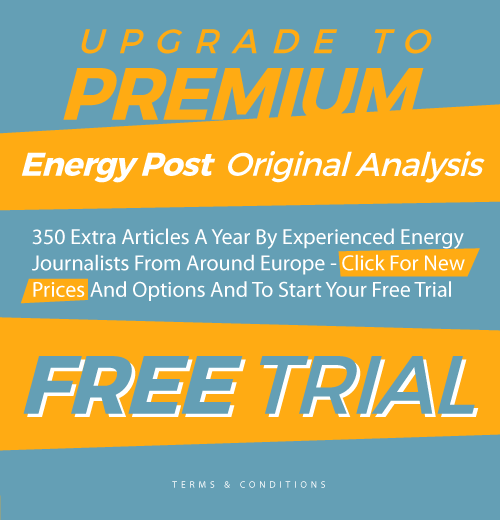 The European Investment Bank has approved a loan to the Southern Gas Corridor, in a move environmentalists described as a “historical mistake”, writes Karl Mathiesen of Climate Home News. The move brings the total public backing for Europe’s biggest fossil fuel project to $3.5 billion. Courtesy Climate Home News. The European Investment Bank (EIB) approved loans worth €1.5 billion ($1.86bn) on Tuesday to a pipeline project to ship gas from Azerbaijan to Italy. The loans went to the Trans Adriatic Pipeline (Tap), a section of pipe that will complete a 3,500km continent-joining conduit known as the Southern Gas Corridor. The Tap starts in northern Greece, traverse Albania and run beneath the sea to southern Italy. The announcement by the EIB board brings the total public backing for Europe’s biggest fossil fuel project to $3.5bn. The European Bank for Reconstruction and Development, World Bank and Asian Infrastructure Investment Bank have already committed loans. Environment campaigners responded with dismay, arguing that large investments in fossil fuels would discourage investment in cleaner forms of energy. Some of the gas will be drawn from fields in the Azerbaijani section of the Caspian sea. Pipeline operators have also signed agreements to allow Russia to use the pipeline. Last year Azerbaijan withdrew from the global extractive industry watchdog after repeated failures to meet human rights standards. But multilateral banks have not been deterred. 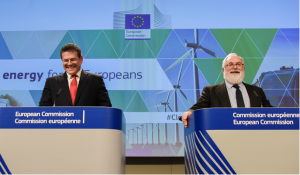 Climate Home News reported last year that the EIB had been lobbied by the European Commission vice president Maroš Šefčovič and climate and energy commissioner Miguel Arias Cañete to lend their support to the project. On Tuesday, a spokeswoman said the commission welcomed the decision: “Forming part of the Southern Gas Corridor, TAP is an important project that will increase Europe’s security of supply by diversifying gas routes and contributing to market integration and the energy transition. There was no response to a question Climate Home News asked about the climate change impacts of the pipeline. Public finances: The Asian Development Bank is considering a loan. The European Bank for Reconstruction and Development, World Bank and Asian Infrastructure Investment Bank have committed $500m, $500m and $600m respectively. The European Investment Bank has approved a loan of $1.86bn. This article was first published on Climate Home News and is republished here with permission under a Creative Commons licence. On Energy Post Weekly of 6 February, we have an in-depth report on the pros and cons of the Southern Gas Corridor: Gas under fire in the EU: do we need the Southern Gas Corridor? 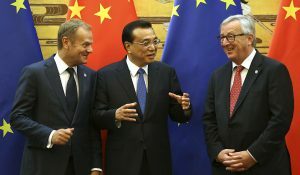 Our Brussels correspondent Sonja van Renssen talked to TAP, the EIB and NGO’s to get a comprehensive picture of what is at stake for the EU and why NGO’s argue investments in projects like the Southern Gas Corridor are misguided. You can read it here (premium content). How does this project fit with the energy efficiency policies put forward by the EC & under discussion in the triologues right now? Before answering that question it might be worth reflecting a little on previous EU/EC policies which were in conflict. ETS and Renewables remains the classic. I remember senior members of DG Envo (when it was responsible for this) back in the 2000s admitting that they had NOT factored in (i.e modelled) the impact of RES growth on ETS prices. One could argue that it is easy to look back in hindsight – but both (ETS & RES) were flagship policies – certainly by 2008. This starts to seem like ETS vs RES 2 (it’s like a Hollywood franchise isn’t it? “if you thought ETS vs RES was great folks – wait till you see ETS vs RES II – be shocked – be awed” etc). Anyway, back to the story. When EE policies start to bite – to whom will gas be sold? When RES electric starts to bite into the heating market (GSHPs and ASHPs) who buys gas? I like cooking with gas – so do many people – but it isn’t a market you would build a pipeline to supply. I guess one assumption is that gas will still be a feedstock for the chemical industry (plastics, fertilisers etc). Again, I could see the market for fertilisers moving to more “sustainable” systems. 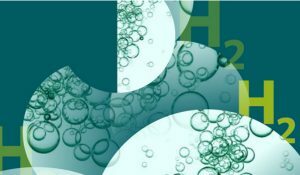 It is also worth reflecting that the hydrogen used to make ammonia (a fertiliser precursor) originally came from electrolysis. Plastic packaging? there seems to be a desire to minimise this – so not exactly a growing market. I assume that the pipe line will have a long life (50 – 60 years?). How does that fit in with large-scale decarbonisation projects for 2050 – i.e. 30 years hence. 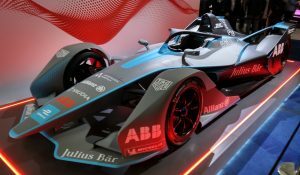 I have no problems with companies trying for a fast buck – but it seems puzzling, given the uncertainties outlined above (& I guess there are others), that the EIB is funding this project. Maybe they are in the “fast buck game” – which seems odd for a public European institution. Europe needs gas, and more of it to cover closing nukes and to get rid of coal. Heating many UK homes with electricity, not gas, would be prohibitively expensive. Unless old houses are replaced with modern ones which will not happen. I have a well insulated house and burn 20,000 kWh/annum. My gas bill is about £1000/year. If I switched to electric it could treble. Heat pumps not being good for old houses. 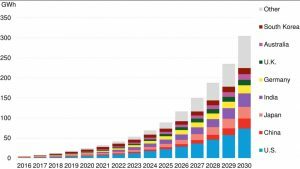 How does that fit in with large-scale decarbonisation projects for 2050 – i.e. 30 years hence. “Heat pumps not being good for old houses” – true only if they ain’t insulated – take your pick: inside insulation, outside insulation or demolition. We have been told that “Europe needs more natural gas” for two decades and that always fail to materialize. LNG terminals got subsidized for the same reason and they are barely used. And since greenhouse gas emissions accumulates in the atmosphere there is actually not benefits of switching between coal and natural gas. District heating is not economic for the majority of homes in the UK. Capital cost of laying the distribution infrastructure is huge. In European cities public sector companies largely established the networks. Private sector firms would not be interested. Would require customers to commit to decades long contracts to make a district heating scheme financeable. I for one wouldn’t sign up to a long term scheme. Most district heating schemes run off fossil fuels anyway. My gas boiler is >90% efficient. What would be the point of district heating with lower efficiencies? Plants with process waste heat are few and far between and in the UK people don’t like living near refuse incinerators. LNG terminals in Europe are not being used because gas is being piped in from the east at a lower cost than LNG. That can change swiftly when markets change. Natural gas produces half the carbon of coal burning to produce electricity. If nuclear isn’t wanted in Europe and coal is closing that only leaves gas and RE, not gas or RE. You are still not answering the key question: given that the EU (& UK) has +/-90% reduction in emissions by 2050, given heating is a key emitter of CO2 – where does that leave us. In this context the efficiency of your heating is neither here nor there – it still emits CO2. For the moment it is “Gas & RES”, by 2050 it will be “Gas(H2) & RES” with the H2 coming from RES. In the case of “I won’t sign up for a long term contract” – as Stern noted climate change is an existential crisis – which means action both at a collective and individual level. In this context your wants & desires (and indeed mine) are largely irrelevant. “Not economic” – on what basis? Government funded DH strips away the need to pay stupid rates of interest & also allows control over private company rapaciousness. As noted in previous posts, in an economy that is not functioning at 100% a government can print without causing inflation. This is a fact, not an assertion. There is likely to be a balance between DH & standalone systems – all powered by a somewhat modified gas system carrying H2. We have been there before – town gas had a very large H2 content & functioned well. Mike, as the target is so far ahead and the UK will not be chasing Brussels imposed targets for much longer, there will be flexibility. New nuclear will reduce CCGT gas consumption which at best is only around 50% efficient. So for the UK continuing to burn gas in 90% efficient domestic boilers will be acceptable for many years. Contrast that with Germany where they need to switch off nuclear and a 35GW coal fleet. 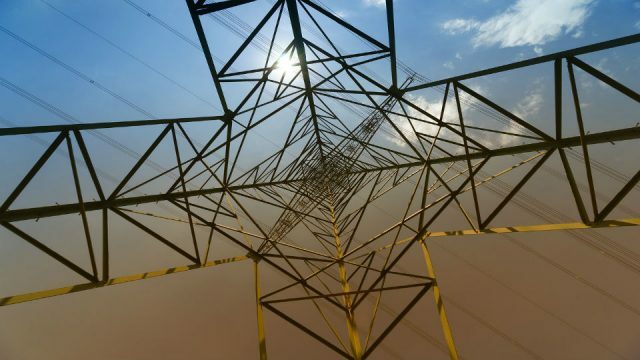 Their gas burn for power generation will increase dramatically so meeting carbon emission targets will be a bigger challenge needing radical moves to eliminate gas for heating. Greedy DNOs are making 30% profit on a zero risk business. Laying out hugely expensive DH networks could reinforce monopoly type behaviour. LNG terminals are actually used instead of gas from the East because it’s cheaper to get a LNG shipment rather than pay for interseasonal storage to winter time. The whole natural gas infrastructure is dramatically oversized, there is no need to build anymore. Denmark has already ban natural gas boilers for space heating and Netherland is doing the same, banning the use of natural gas is actually the most effective way of saving money, reducing carbon emission and improving our energy autonomy. District heating is suitable for most of homes in UK and it will be ridiculous to imply that laying a few kilometers of pipes that carry harmless hot water and are not subject to any strong regulations is more difficuelt than laying thousand kilometers of pipes carrying exploding natural gas. The growth of district heating in Europe comes from cities and villages who did not have district heating before. The choice is between renewable energy with energy efficiency or natural gas, coal and nuclear. The natural gas grid has never been part of the sustainable equation and since it’s too costly to green it will disapear so there is no reason to put public money in it. For existing buildings, or just new build? Safety is not a good reason to avoid gas. Just where do you think the UK would get the vast quantities of energy needed to run DH facilities so as to displace natural gas? Heat pumps are good for all generation of houses, jst a appropriate heat distribution is needed – since the decade old heat distribution systems need to be replaced anyway sometimes, this can be done in one go. Or alternatively insulate the old buildings, or do both. There is practically no building wich can not be heated eficiently with heat pump. But the gas industry is trying to tell the people over and over again that there is a problem with old buildings and heat pumps, till people believe it. Only problem which exist that craftsmen are unexperienced what to do with heat pumps in old buildings because the solutions they have learned wehn using gas snd oil for heating do not fit well for heat pumps. It’s a problem of education, not a problem of old buildings. I ngeneral I would say that – like North Stream II – the southern Gas Corridor will already be behind it’s “best before” date when it will open operating.